If you were living under a rock and missed the USA’s match against Algeria yesterday… then you miss something thing truly special. I have loved soccer all of my life and have watched many games but… this… was… the most amazing game ever. 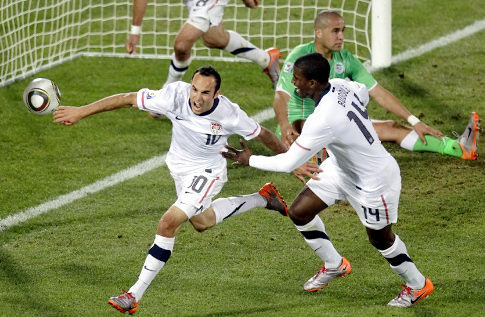 USA who face certain elimination from the World Cup without a win, scored in STOPAGE TIME to win the game! With the emotion of a stressful game, missed chances, and two robbed goals… it all made for one magical moment.